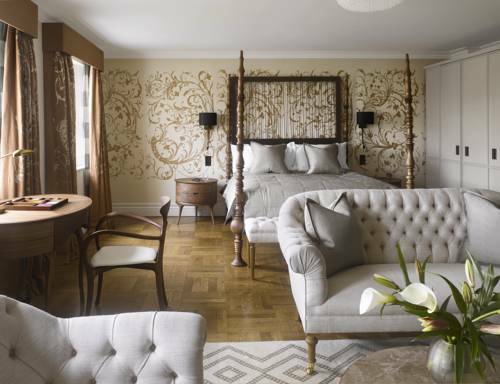 Boasting sumptuously decorated rooms, butler service, and gourmet cuisine across 5 stylish lounges, this boutique Victorian townhouse nestles in elegant Kensington. 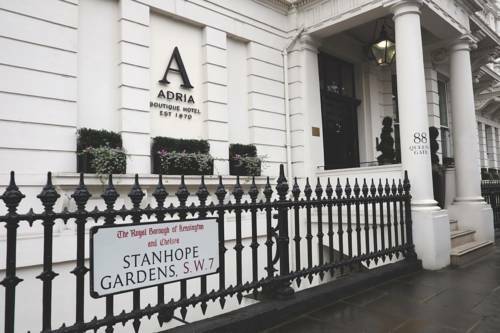 Just 10 minutes’ walk from the famous museums of Exhibition Road, Adria is only 15 minutes on foot from Hyde Park. 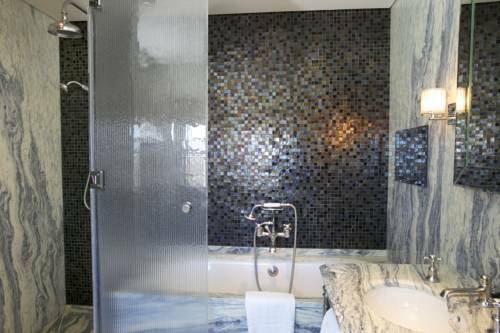 Stunning, opulent design and sleek, marble bathrooms with underfloor heating and walk-in waterfall showers feature in each luxury room at Adria. You can relax amongst elegant furnishings with your own espresso machine, an iPod dock, and a HD iMedia hub. Breakfasts are served amidst a relaxed atmosphere in the morning room, including a selection of pastries, eggs cooked to order, yoghurts and fresh fruit. If your favourite dish is not on the menu, the chefs can make it for you. With a retractable roof, the open-air Garden room can be used for afternoon tea or coffee after dinner. Healthy juices are served at Adria, along with classic teas and coffees, and non-alcoholic cocktails. 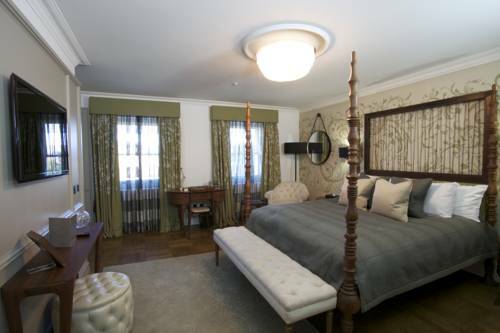 South Kensington and Gloucester Road tube stations are located just 5 minutes’ walk from the townhouse, and Harrods is less than 20 minutes away on foot. The Natural History Museum is a 10-minute walk away, and Heathrow Airport is a 30-minute drive. Earls Court is one of Londons premiere exhibition and conference centres. The venue is located in the heart of London enjoying great transport links. The venue has two large exhibition halls one is split level and is big enough to accommodate and exhibition size. Conferencing facilities are also available at the venue: Earls Court Conference Centre provides flexible facilities on a single floor - ideal for a range of events including conferences, training, award ceremonies, press conferences and product launches. Earls Court Conference Centre is a modern, purpose-built venue for between 100 and 250 delegates. The London Electronics College is a center of adult education that provides technical training to its students. It was established in 1892 and is located in West Central London in the Royal Borough of Kensington and Chelsea. The College offers courses in electronics engineering, information technology, computing, mathematics, English, modern languages and technology management. The Heythrop College, established in 1614, is a constituent college of the University of London and is located at Kensington, London. The College offers several undergraduate and postgraduate programs along with research opportunities. These courses include pastoral liturgy, pastoral theology, philosophy, philosophy and psychology, religion and ethics, philosophy and theology, psychology and theology, psychology of religion, Abrahamic religions, divinity, theology, biblical studies, Canon law, Christian ethics, Christian theology, Christian spirituality and Christianity, and inter-religious relations. Kensington Palace in London is a working Royal residence. Of great historical importance, Kensington Palace was the favourite residence of successive sovereigns until 1760. It was also the birthplace and childhood home of Queen Victoria. 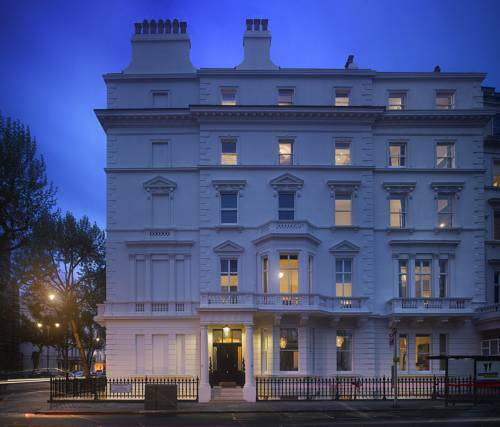 Today Kensington Palace accommodates the offices and private apartments of a number of members of the Royal Family. Although managed by Historic Royal Palaces, the Palace is furnished with items from the Royal Collection.